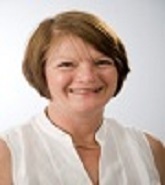 Glenda Cook, Professor of Nursing at Northumbria University, Newcastle upon Tyne. Glenda’s career began in nursing, which fostered an interest in the needs of older people. As a nurse tutor she participated in the development of the MA Advanced Practice in Nursing and developed learning opportunities concerning risk and risk management in advanced practice. Her research career began with an investigation of risk perception and risk management in rehabilitation services for older people. From these beginnings she has developed a portfolio of research projects concerning older people’s needs and service response. A unique aspect of this portfolio of activity is the involvement of older people as co-researchers and supporting older people to undertake user-led research. Her current research portfolio includes the development of integrated and enabling preventative services for older people living in sheltered housing; development of chronic disease management services in primary care through data modelling; and assessing the effectiveness of non-pharmacological interventions to address dementia related challenging behaviour. Deep Story: A Way forward in Narrative Gerontology? Do We Become More Spiritual with Age?